The Linear OSCO APeX Controller is designed to work with all of Linear's OSCO brand gate operators, and to replace current circuit boards with a new design that is simpler and sleeker, while also integrating between the gate operator and the access control system. The Linear OSCO Apex Replacement Apex Control Board is designed to work with all of Linear's OSCO brand gate operators, and to replace current circuit boards with a new design that is simpler and sleeker, while also integrating between the gate operator and the access control system. The new Linear OSCO Apex gate operator controller has been designed to operate with Linear's OSCO brand of slide, swing gate operators and barrier gate operators. It features on-board, low-voltage surge protection for lightning protection on all inputs. It also has plug-in loop detector capability (open, shadow/reset, reversing), as well as pluggable, European-style field wiring connectors. There are LED diagnostic lights and a built-in MegaCode radio that can program up to 40 handheld transmitters and two MGT gate edge transmitters, as well as an integrated three-button station (momentary contact: Open, Close, Stop). 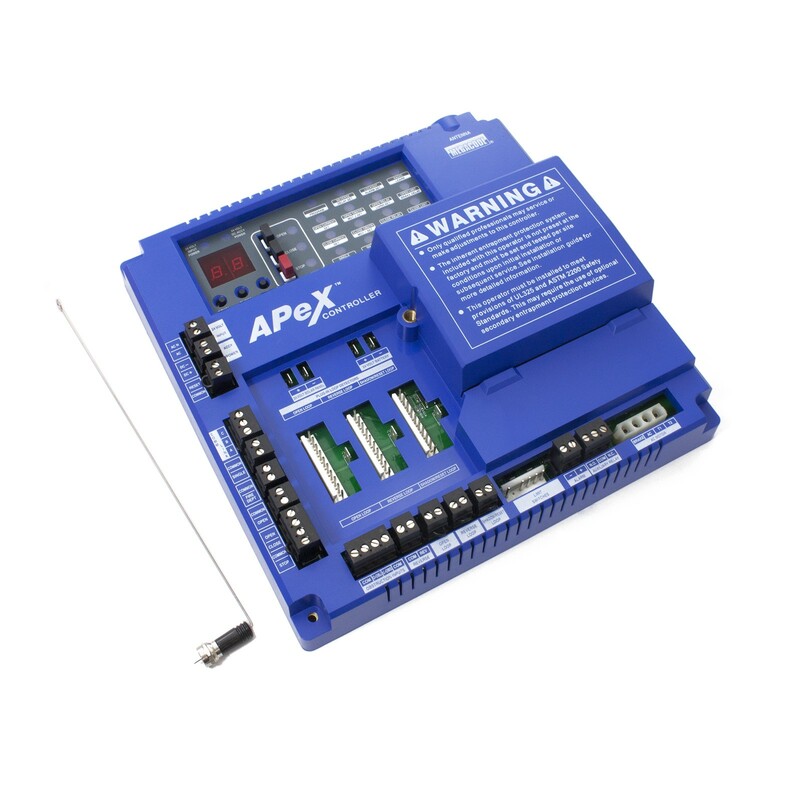 To simplify dual gate installation and operation, the Apex™ is networkable, and allows accessory devices to be wired to either machine in a dual gate application. 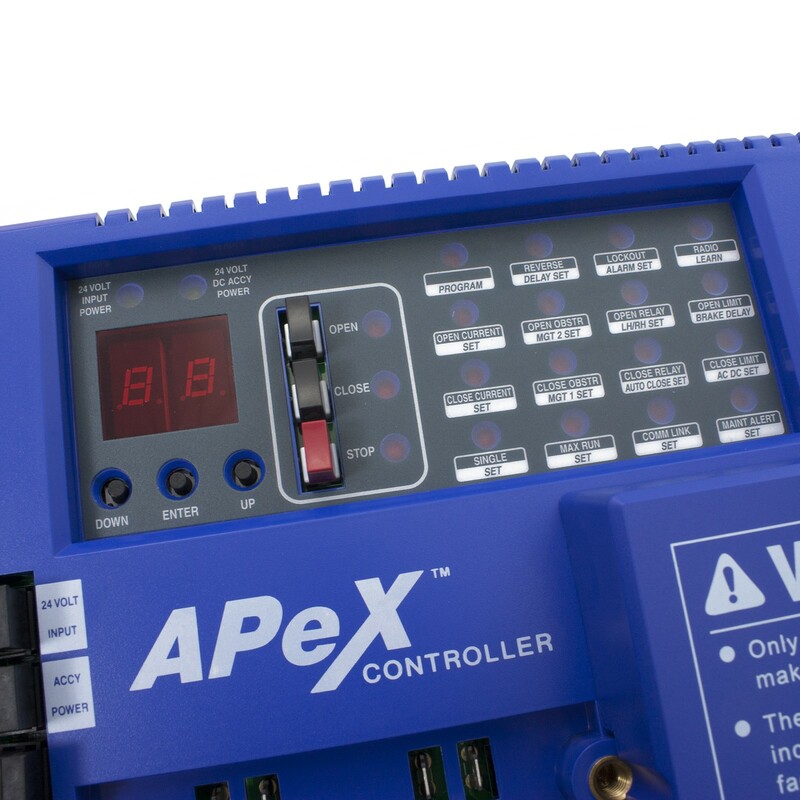 The Apex™ controller also features automatically resetting fuses, and there are not dipswitches or potentiometers to set. It has a dual seven segment LED display for programming and diagnostics. The Apex™ controller will also bring soft-start/soft-stop capability to OSCO's line of commercial DC battery backup gate operators. The Apex™ controller meets all UL 325 (Pre January 2016 UL) requirements and is CUL listed. "The Linear OSCO Apex™ controller puts Linear/OSCO gate operators ahead of the competition in terms of diagnostics, aesthetics, and communications- features that offer a level of installer convenience and flexibility unprecedented in the industry", said Randy Baker, Linear's OSCO Product Line Manager "It easily integrates with both the gate operators and the access control systems, and offers a new level of simplicity for installers and users." Not sure if the Apex Control Board is compatible with your gate operator? Give our friendly representitives a call toll free at (800) 878-7829 and we'd be more than happy to assist you.